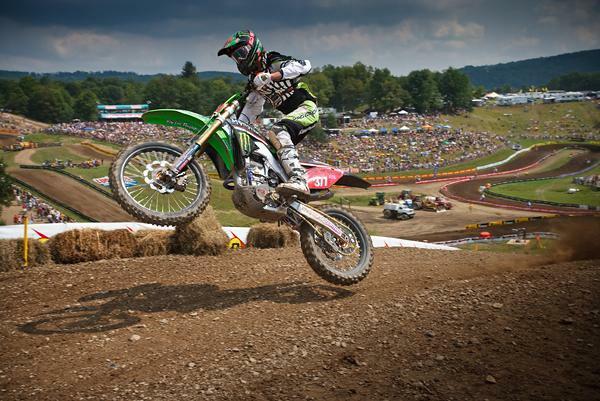 When we left 2008, James Stewart went 24-0 in the 450s and Ryan Villopoto crushed the 250 Class to win that title. Both riders, for different reasons, would not be defending their titles in 2009: Stewart signed a supercross-only deal with L&M Yamaha and Villopoto was moving on up to the 450 Class. L&M Yamaha’s old rider, Chad Reed, switched to Suzuki for the 2009 season and just missed out on the indoor title to Stewart. Crushed by that loss, Reed decided at the last minute to line up for the outdoor season. It would be the first time he’d race outside in a few years, and it turned out to be a great decision. At the opening round at Glen Helen, Villopoto served notice that his end-of-the-season supercross momentum was for real as he crushed the competition, going 1-1. RV’s second-moto win came at the expense of his longtime rival Mike Alessi, as Alessi had a big lead in the second moto and RV hunted him down. 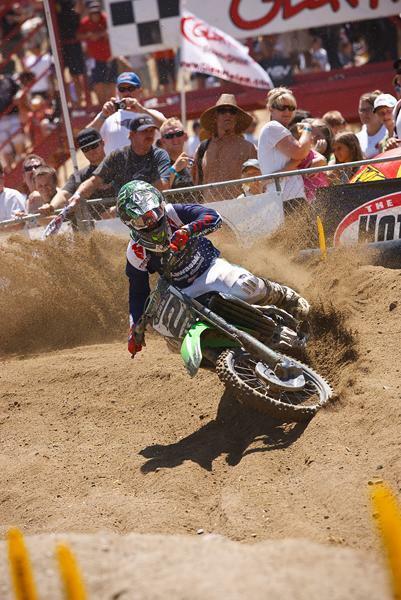 At Hangtown, Villopoto’s knee, already having been damaged at some point, gave out in practice and that was it. RV struggled through the first moto before pulling the plug to get surgery. He was out for the rest of the year. Picking up the gauntlet was Alessi, and the 800 was now the new man, as he won Hangtown with 1-1 scores and then dominated the next round in Texas. Now it was Alessi who looked to be the runaway favorite for the crown. But just like RV, Alessi suffered some terrible misfortune when he crashed before round three and broke his kneecap. That was it for him, although he did try to come back for the next round; a collision with Josh Grant was the final KO. His season was done. Reed started slowly at Glen Helen, got a little better at Hangtown, was the third-best guy in Texas (behind Honda’s Andrew Short, a perennial contender), and by High Point, the #22 Suzuki rider was getting his outdoor mojo back. Honda’s Ivan Tedesco dominated Lakewood under the lights, JGR Yamaha’s Josh Grant put in two great rides to win Red-Bud, and all told there were six different winners, Reed taking the most with five. At one point Chad caught fire and won seven of eight motos to put a chokehold on the outdoor title. 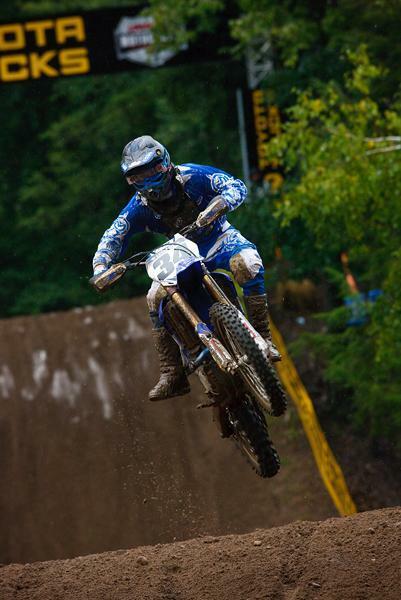 Reed, never considered an outdoor guy and having on record as not liking the outdoors, won his first national title, and along the way he gained appreciation for the motocross side of the sport and gained a ton of fans as well. When we left the 250 Class, the only rider truly able to challenge Villopoto on the small bikes was Suzuki’s Ryan Dungey, and he was the favorite going into the series, but the Frenchman who won a 250 SX title, Christophe Pourcel, was better than most thought and was right there every weekend. Pourcel, a gifted and smooth rider, was the only guy to give Dungey a run for his money, and soon those two riders began a battle that would last all summer. Dungey struck first with a Glen Helen win, Pourcel won Hangtown, Dungey got Texas, and Pourcel captured High Point. You can see where this is going, right? The only racer to get in at times was Honda’s Trey Canard, who was in fact leading Pourcel at High Point and in position for the overall before crashing heavily over a triple and breaking his wrist. That was it for Canard and further established Dungey and Pourcel as 1 and 1a. 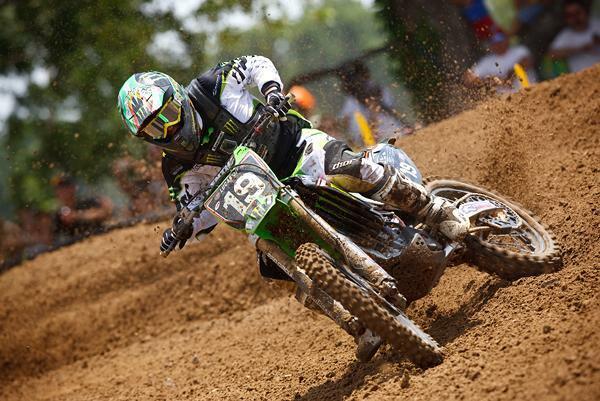 Kawasaki’s Jake Weimer stepped up in the summer of ’09. 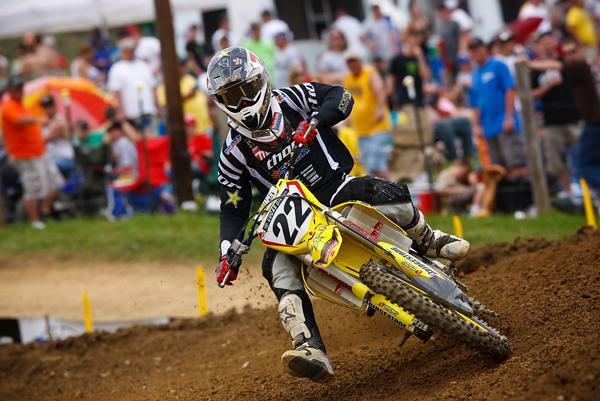 The Pro Circuit rider started off slow before winning two nationals in a row at Lakewood and RedBud. Weimer was fighting with Honda’s Brett Metcalfe for the final spot on the box most weekends and would go on to win the very muddy Budds Creek race as well near the end of the season. Going into the penultimate round at Southwick, Pourcel held a slight lead in the points, but the deep sand of Southwick would prove too taxing for his machine and he DNF’d the first moto. In the second moto an early crash would hold the Frenchman back and that was it—his points lead turned into a deficit. At the final round, Dungey rode behind Pourcel in both motos to clinch his first outdoor national title. Pourcel gave him everything he had, but in the end, the DNF was too much overcome. It was a thrilling year in American Motocross and one that saw an unlikely champion in Reed and a coronation of another in Dungey.